Running a marathon is hard, in case you didn't already know. But you know what's even harder? Running it quickly. It takes discipline to really nail that training plan and get those miles in when everyone else is still tucked up in bed. If you're aiming to run a sub-4-hour marathon, or just do a personal best, you're going to need to be a bit more scientific about your training – and your GPS running watch can help. The good news is that there's plenty of wearables out there that can now take a lot of the guesswork out of what is a tricky training process. Not only will your GPS watch make sure you're running the right distances and give you real time updates on how fast, and how hard, you're running, but it can also tell you exactly how to structure your training to get to the start line in shape to run the race of your life. If a sub-4-hour marathon is your target time, here's how to use your running watch to build a plan that'll help you reach your goal. Let's get down to brass tacks. In order to run a sub-4-hour marathon, you're going to have to put together 26.2 consecutive miles run at 9:09 min/mile pace. That's four sub-1-hour 10km runs and a bit more. We've done the sums for you in case, but you can use Polar Flow, Garmin Connect, Runtastic and Suunto Movescount to do this for you, too. Create a target race with a time goal in any of these web tools and it'll give you feedback on how fast you need to run. It's a good idea to choose from the outset whether you plan to run the actual race in kilometres or miles and stick to that in training. Once you know your race pace, you'll need to build a plan that combines shorter distances faster than race pace, middle effort runs at 75% of your race pace, long runs at around 65-75% and your recovery runs at 60% of your race pace. And the perfect way to do this is to start with heart rate training. At this point it's worth jumping over to our heart rate training guide, if you need a bit more direction in this area. With products like the Garmin Forerunner 935, you can also choose to run against a virtual pacer in training, which is a great way to get a sense of how the actual pace is going to feel come the big day. Most running watches come with default heart rate zone settings. You can alter these to make your tracking more accurate, but first you need to find out what your zones are. Once your zones are fine-tuned, you can ensure that you're running sessions at the right intensity and put together the right combination of low, medium and high intensity runs. This mix of training is vital to build the endurance and speed to get round in under four hours. We wrote a big explainer piece on VO2 Max and the science behind both the metric and how it's measured. Now, wearables such as the Fitbit Ionic, Garmin Fenix 5 and Jabra Sport Pulse bring users a metric that was once only for elite athletes. Why is it important? Well, it can give you a strong indication if your training is making a difference. We carried out a big VO2 Max test to find out which wearables are best suited to give you the most reliable and valuable data. Another smart thing to do before you set off on any marathon training programme is to assess your current fitness levels. The Polar Fitness Test, for example, is a pre-programmed test you can do using just your watch and a heart rate monitor. It provides you with a benchmark that you can use to see how your fitness fares against the average. It's a great barometer for how hard you're going to have to train to get ready for race day. You can use this information to help you decide how best to approach your training plan. How long should I train for? How many times a week? What's the furthest I should run in training? These are all common questions for anyone putting together a marathon plan. Thankfully, Garmin Connect, Polar Flow and Suunto Movescount can all help with the schedules that answer a lot of these questions. With Garmin, you can choose between from a set of sixteen-week training plans that work on heart rate or pace, and also three different levels, depending on how many times you want to run per week. Sadly, these don't give you the option of gunning for a target time. Polar's dedicated Running Program also offers the ability to build a marathon training plan that adapts based to the sessions you've actually completed and offers real-time coaching. It'll also offer exercises with video support focused on key areas of the body affected by running to keep you free from injury. Runtastic gives you the option of a pre-packaged 20-week, six session per week, sub-4-hour plan, which you can then customise choosing to work from your start date or progress towards a set race date. You can then tell Runtastic how many times a week you want to run, when you'd prefer to do your longest runs and which days you'd like off. You can then use our guide from turning an off-the-shelf training schedule into a personalised biometric plan using our guide. Polar Flow offers far more customisation but with this service you will need to already know what makes a solid training schedule. This is great if you already have a coach setting a regime or are following a training plan like the Hanson plan but want to a tool that gives you an easy to follow schedule. If your running watch doesn't come with any online planning tools, you can still you can still use the heart rate and pace to create your own benchmarks a build a plan. Using the heart rate zone information you gathered earlier, you're looking for a combination of lower intensity, longer endurance base training runs, with high intensity intervals. If you've built your own offline plan and you want to bring it into the digital world, Google Calendar is a good option for scheduling, annotating and sharing your training. While it lacks the automation and the insights of Polar Flow or Garmin Connect, plot your workouts ahead of time and add the key stats after your runs and you'll have plenty of data to track your progress. On your GPS running watch, you're likely to find options for audio or vibrating alerts. Setting these to give you a nudge when your BPM or pace rises or falls outside of the training zone for that session will ensure that you stick the plan and achieve the right training effect from each of your runs. Music is a great motivator and can help you get through those tough long weekend runs. 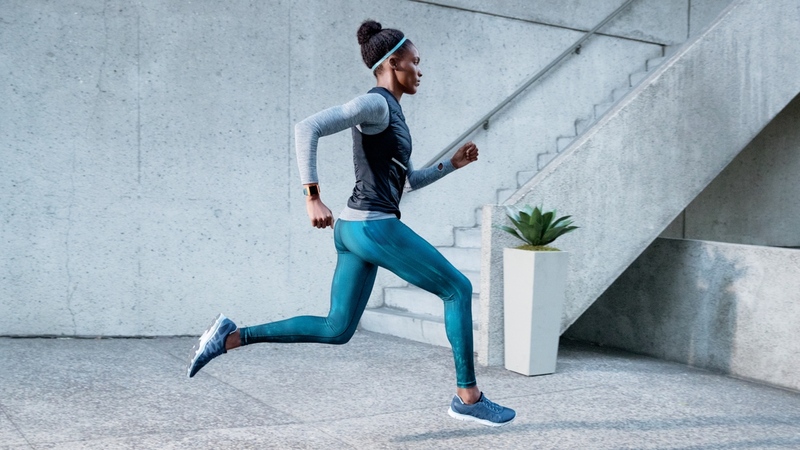 The Garmin Forerunner 645, Apple Watch Series 3 and sporty Wear watches like the Polar M600 offer you the ability to sync music to your watch so you can stream music without carrying around your phone. Check out our list of running watches with offline music playback.